There are three ways of hosting WCF service. Hosting in IIS, WAS, and self-hosting. The previous post showed a simple WCF service that is hosted in IIS. Another popular hosting mechanism is self-hosting. We can self-host a WCF service in any application, for example, in console application, windows forms, or windows service. And the coding is relatively simple. (3) Add New Item - [WCF Service] item. 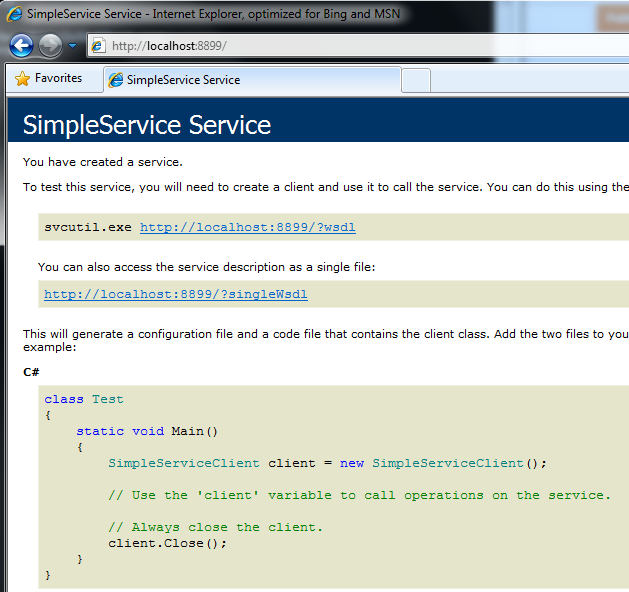 Name it SimpleService.svc. 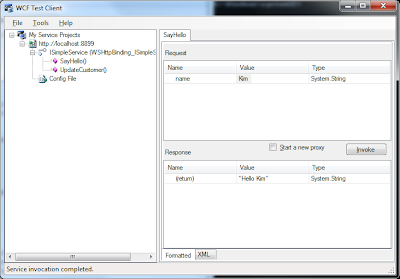 (4) Write a WCF interface in ISimpleService.cs. 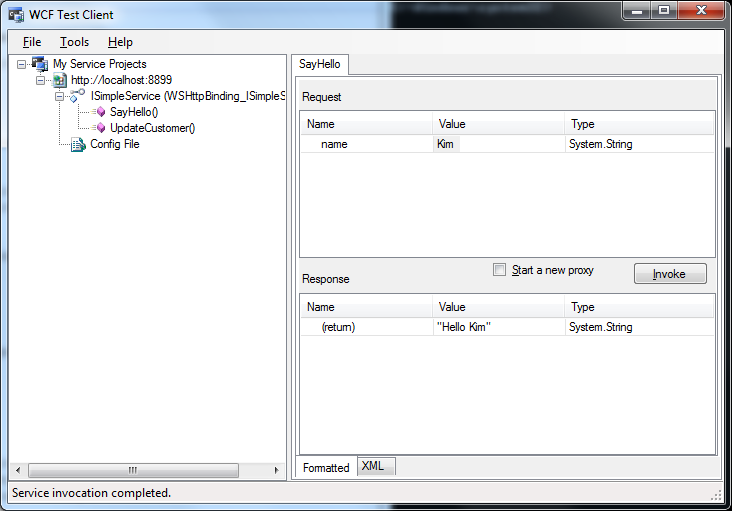 (5) Write a WCF service class that implements the interface. Basically we create System.ServiceModel.ServiceHost instance and call Open() method; and call Close() method once we are done. (7) Edit App.config file. As a base address, we specified http://localhost:8899/ as below. (9) To test WCF service from WCF client, first run self-hosting EXE application. And then you can run WcfTestClient.EXE client application. Specify service URL (http://localhost:8899/) and call a method by clicking [Invoke].